If you want to pause your usage of Status Hero, but keep all of your data, you can freeze your account by disabling all of your teams. You will not be billed for members that are not on an active team. 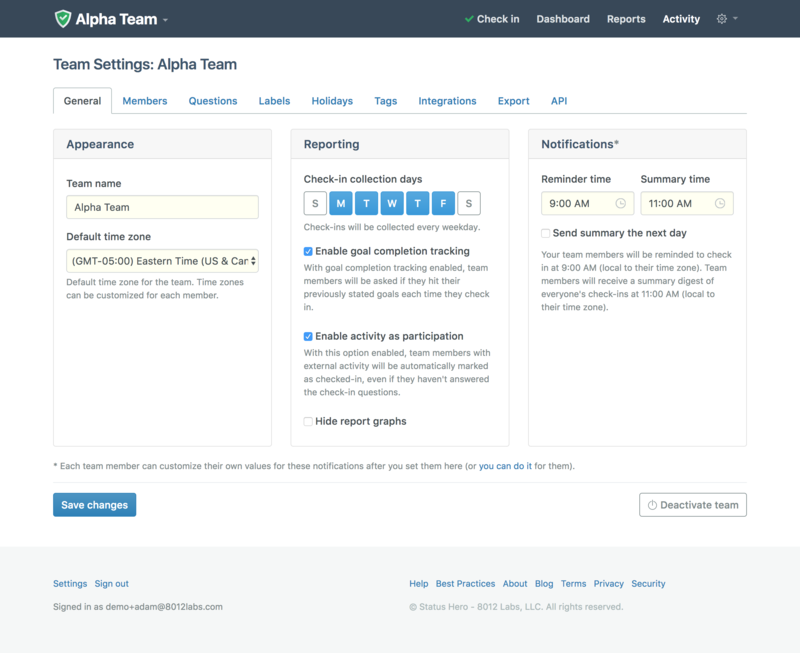 To disable your teams, go to Account - Teams, select "Edit" next to the team name, and then select "Deactivate team" in the bottom-right of the page.